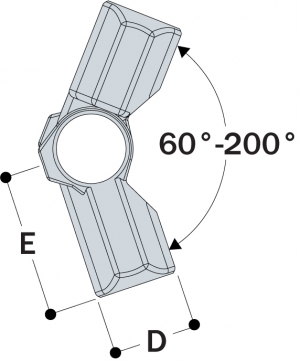 Used to form variable angle joints between 60° and 200°. Not designed to absorb bending loads at barrier intersection. 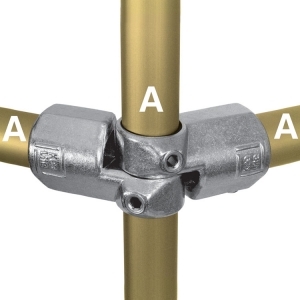 Note: Type L19 fittings are bagged in pairs and are weighed, priced, and sold as such. L19-6 0.79 lbs. 6 1.65 in. 2.95 in. L19-7 1.28 lbs. 7 2.09 in. 3.54 in. L19-8 1.45 lbs. 8 2.36 in. 3.54 in.